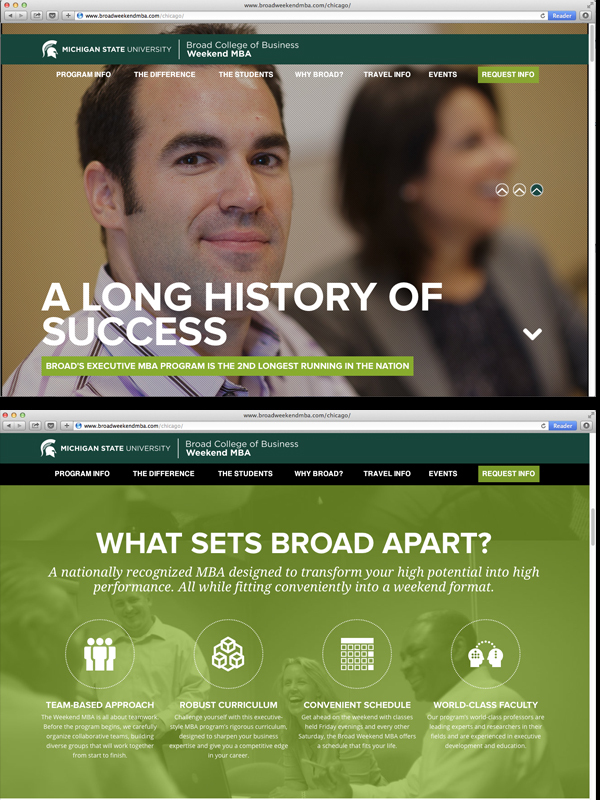 Michigan State University’s Weekend MBA program recently hired Black Lab Five to help design and program a new micro site targeting Chicago area residents. The goal was to show people looking to get their MBA that Broad College is not only physically closer than they think, it’s also within reach practically and financially. Check it out here.